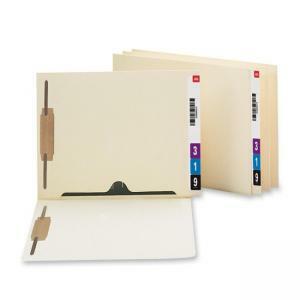 End tab folders feature a fastener on both interior sides and a fully enclosed pocket that can be used to store small objects or papers that cannot be two-hole punched. Pocket has an extended thumb-cut for easy access. 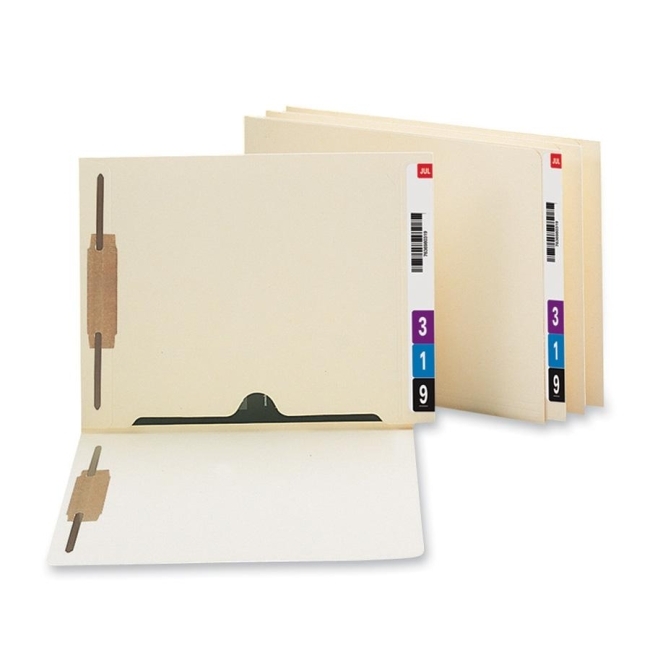 Two filing surfaces with fasteners allow you to subdivide and secure your documents. The two 2" fasteners in each folder are in positions No. 1 and 3. Reinforced, extended tab is straight cut. Folders are made of 11 point stock and scored for 3/4" expansion.